started at the Farmer's Market and finished in my studio. 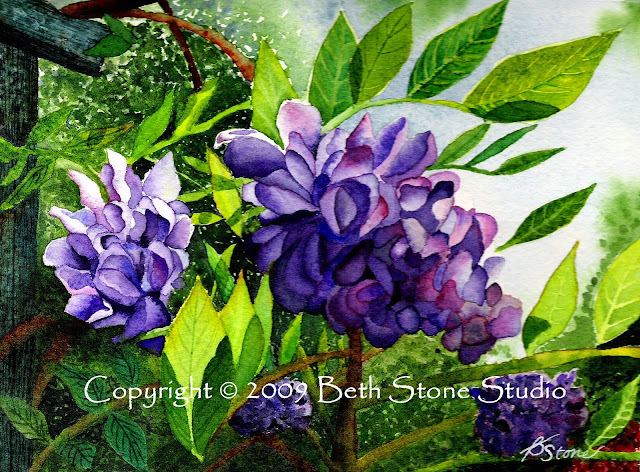 It is from a photograph I took at Jonesborough's Garden Gala earlier this year. along with prints, on my website.